How To Repair a Delta Kitchen Faucet? Faucets that withstand excessive use are prone to wear and tear. Anyone can experience issues with their faucet over time, even with high quality faucets such as Delta’s. A faulty faucet can lead to a great deal of annoyance. However, you shouldn’t wait until it turns into a full-blown problem. Fortunately, there’s a fix to most of the Delta faucet problems. Whether it’s a leaking faucet or lower pressure, there’s a solution. All you need is the replacement parts and a bit of your time. So read on how to repair a Delta kitchen faucet? 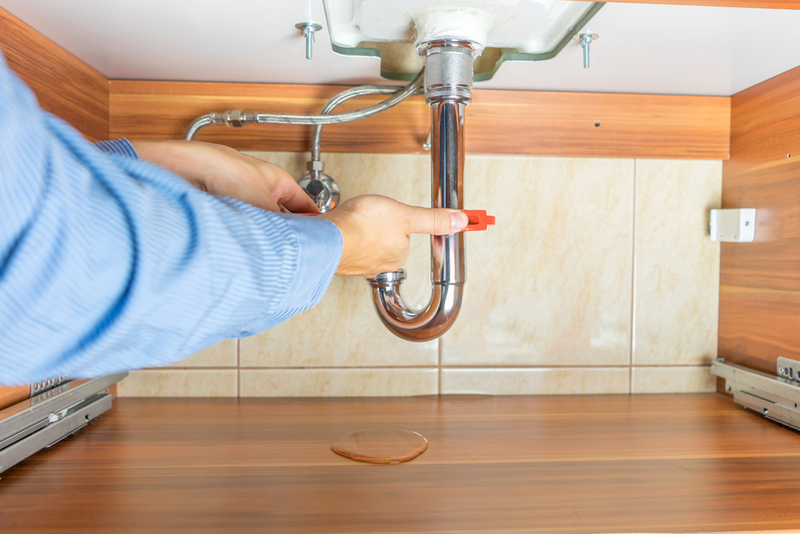 One of the most common faucet problems is leaking. Start by troubleshooting the kitchen faucet to understand where the leak is happening. Before you start disassembling the kitchen faucet, close the valves under the sink to shut off the water supply. Also, open the faucet to let all of the water be drained and to release any trapped water pressure. Next, you need to remove the handle. There’s usually a plug that hides a screw on the handle. Use a flat-head screwdriver to ply it off. Remove the screw and then pull the handle up and off the faucet. Inside the chrome dome, you’ll find a plastic ring insert. This is the adjusting ring that is used for adjusting the pressure (increasing or decreasing) on the internal components. If you have a newer Delta kitchen faucet, there might not be an adjusting ring. In such a case, you can just skip this step. Have a good look at the cap and adjusting ring. If you find that the faucet is leaking from there, a solution can be tightening it. Turn it clockwise with needle-nose pliers. Turn the water back on again and check if the leak reappears. If it’s still leaking, the problem is not in the adjusting cartridge. Turn off the water supply again and continue investigating other parts. Unscrew and remove the adjusting ring. Next, remove also the dome-shaped cap. It usually doesn’t sit too tight, so often it can be removed by hand. If it’s too tight, place a cloth over it and use tongue-and-groove pliers to unscrew it by turning it counterclockwise. Under the cap, you’ll find round metal stem and a ball valve. Remove both of them. Between the ball assembly and the spout, there’s also the cap and packing. It helps to control the water temperature and can also be the cause of a leak. If that’s the case, replace the cap and packing and the leaking issue should be resolved. Also, inspect the ball. It can collect mineral deposits, which can prevent the gaskets from sealing. So if there are any deposits, chip them off and remove it with a white vinegar solution. If the ball is damaged, replace it with a new one. Inside the valve, there’s a mechanism called seats and springs. It’s located at the bottom of the housing. They keep the water from leaking the faucet is turned off. The seat is a black, rubber cap that has a hole in the top. And the spring is just a small metal spring that is inside the rubber seat. Use a wrench or a small screwdriver to pry both parts for hot and cold water. Remember the spring’s position inside the seat. When re-installing the faucet, it needs to be positioned with the same orientation. An easy way to insert them is by fitting the new seat and spring onto the tip of a screwdriver. Make sure that they’re positioned the same as the old ones. Insert it into the hole in the stem housing. Then hold them with your finger to keep them inside, while you remove the screwdriver. Repeat the same for the other set. Replace the ball assembly into the socket, making sure that the pin and the valve are aligned to the slot on the ball. Next, install the cam and packing. The tab on the cam should also be aligned with the slot on the valve. Place the adjusting ring inside the dome-cap. You can screw it on with your hands. Tighten the adjusting ring with needle-nose pliers. Next, install the handle. Place it on the shaft and tighten the retaining screw with a wrench. Once the faucet is fully assembled again, turn on the water at the water supply valves. Investigate the fixture for any leaks. First, run the water on cold and the switch to hot. Check for both if there are any leaks. If none of these steps fix the problem, the cause could be corrosion of the valve seat, loose parts or broken plumbing. So if these tips didn’t help you repair your Delta kitchen faucet, it might be time to call your plumber.